Governor Jay Inslee announced that close to $1.5 million in grants are being awarded to employ veterans and help kids connect with nature as part of the “No Child Left Inside” program. The Mount Rainier Institute, a University of Washington partner program, was awarded $37,481 through the grant. Programs across 18 Washington counties will get funding through the grant, a pet project of the Governor. Inslee said that his fondest childhood memories were being outside, and he believes many of our kids today do not get that opportunity. He believes that when kids spend time outside, their health and their grades can improve. 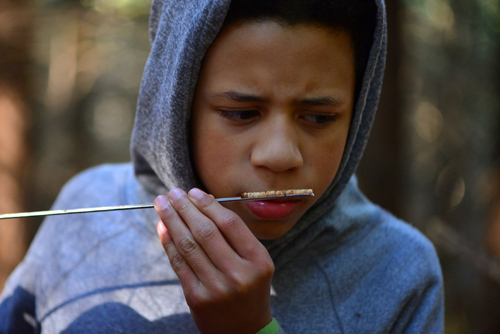 Kids can get that outside time at Mount Rainier Institute, an outdoor school that provides nature based education rooted in science to help nurture environmental stewards and leaders. It hosts overnight school programs where students come to their location at the Pack Forest, just outside of Eatonville. More than 1,300 students each year come from all over the region, from Tacoma, Seattle, eastern Washington and even Oregon. John Hayes, Mount Rainier Institute director, said the program’s mission lined up with the grant. Pierce County received $225,181 from the grant, the second most (after King, with $341,806) of any county in the state. Hayes said programs like his were filling a desperate need to get children connected with the great outdoors. The funding itself will go to help subsidize the cost of the program. Students from fourth grade to high school partake in programs at Mount Rainier Institute. An advanced placement high school course in environmental science could take place right after a group of Fourth Graders learn about trees. Started in the fall of 2014, the Institute’s goal has always been to help foster a diverse group of people engaged in the environment, sometimes a costly ideal. “We are always raising money and looking for grantors and donations. If anyone is interested in making sure kids are learning about environmental science and connecting with what’s in our back yard, help us make that happen,” Hayes said. One student expressed their thoughts on the program. “The way I feel about nature has changed greatly. Before Mount Rainier, I had never been hiking, and I have still never been camping. 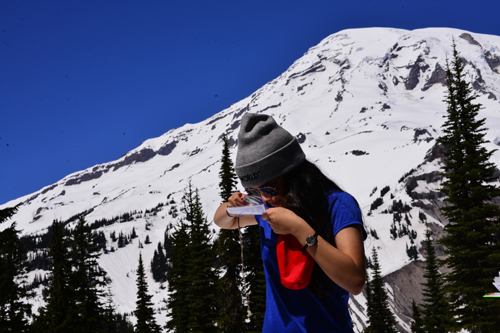 The trip to Mount Rainier has made me want to go hiking and be outside more often,” they said. Not only are the kids learning skills and science, they are staying active while doing so. The institute is in the middle of its busiest season, until the middle of June. It does host tours and visits, for those interested in seeing where state grants go.